Below you find a list of our top publications. For a complete list of publication activities, please visit the research database. Schroll, Roland, Benedikt Schnurr, and Dhruv Grewal (forthcoming), “Humanizing Products with Handwritten Typefaces,” Journal of Consumer Research, forthcoming. The loss of a sense of humanness that stems from increasing mechanization, automation, and digitization gives firms an impetus to develop effective ways to humanize products. On the basis of knowledge activation theory, this article systematically investigates a novel humanization approach: the use of typefaces that appear to be handwritten. Across several laboratory and field studies, the authors provide evidence of the positive effect of handwritten typefaces, reveal the mechanisms that lead to these outcomes, and outline some boundary conditions. Specifically, the results show that handwritten typefaces create perceptions of human presence, which lead to more favorable product evaluations (and behavior) by enhancing the emotional attachment between the consumer and the product. However, these effects are mitigated for brands to which consumers already feel a sense of attachment. Finally, the effects reverse when the products are functionally positioned or functional in nature. The present article thus extends understanding of humanization processes and provides guidelines for how and when brands should use handwritten typefaces. Plank, Andreas (2016). The hidden risk in user-generated content: An investigation of ski tourers' revealed risk-taking behavior on an online outdoor sports platform. 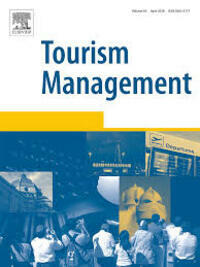 Tourism Management, 55 (August), 289-296. This paper investigates risk-taking behavior in the context of an online outdoor sports platform. Analyzing a unique behavioral dataset of 6242 ski tours completed over a time period of eight winter seasons, this paper shows that the accuracy of user-generated content on ski tours is limited and that more than one third of ski tours accessible on the respective online platform was relatively dangerous on the particular days according to a common avalanche risk assessment method. The quantitative analysis furthermore reveals that at avalanche danger level “considerable” more than sixty percent of ski tours were relatively dangerous. Overall, this paper provides novel insights into risks that come with usergenerated content in the adventure tourism and adventure recreation domain and derives important implications for online platform users, online platform providers, public institutions, and tourism destinations. Streicher, M. C., & Estes, Z. (2016). Multisensory interaction in product choice: Grasping a product affects choice of other seen products. Journal of Consumer Psychology, 26(4), 558-565. Consumers often touch products before reaching purchase decisions, and indeed touch improves evaluations of the given product. 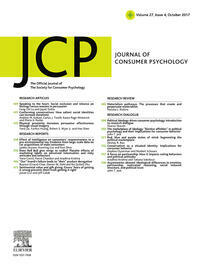 The present research investigates how touching a given product influences perception and choice of other seen products. We show that grasping a source product increases the visual fluency of a haptically similar product, thereby increasing the likelihood of choosing that product, but not the willingness to pay for it (Study 1). We also show that visually crowded rather than sparse product displays increase the effect of touch on choosing other haptically similar products, and that individuals’ instrumental need for touch further modulates this effect (Study 2). Our results suggest that by manipulating or mimicking the haptic features (e.g., shape and size) of objects that consumers grasp while shopping, marketers can develop packaging that facilitates consumers’ visual processing of their products, thereby increasing choice of those products. Streicher, M. C. and Estes, Z. (2015), Shopping to and fro: Ideomotor Compatibility of Arm Postures and Product Choice, Journal of Consumer Psychology, 26(3), 325-336. Consumption often requires flexing arms toward the body and merely inducing such activities has been shown to influence consumption. In three studies we show that the consumption effects from lateral arm movements arise from the fit between cognitions and motor activity. When a shopping situation conceptualizes product acquisition as movement away from the body the effects from priming arm flexion and extension are reversed. The findings prefer an ideomotor compatibility account rather than suggesting hardwired and unmalleable association between arm posture and consumption. The implications of these results for ideomotor research and management practice are discussed. 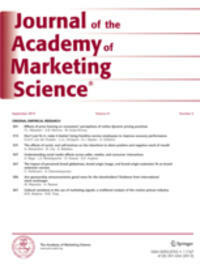 Bas Hillebrand, Paul Driessen, Oliver Koll (2015), Stakeholder Marketing: Theoretical Foundations and Required Capabilities, Journal of the Academy of Marketing Science, 43 (4), 411-428. 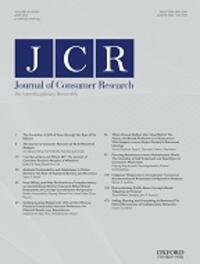 This conceptual paper argues that the marketing discipline should move away from its rather restrictive focus on customers toward a view of marketing that acknowledges the interrelatedness of stakeholders. Building on multiplicity theory, this paper presents stakeholder marketing as a revised perspective on marketing that views stakeholder networks as continuous instead of discrete multiplicities. This revised perspective offers a better understanding of stakeholder networks where (1) value exchange has become complex rather than dyadic, (2) tension between stakeholder interests has become explicit rather than implicit, and (3) control over marketing activities has become dispersed rather than centralized. The paper conceptualizes capabilities required by firms for dealing with each of these three transitions: systems thinking, paradoxical thinking, and democratic thinking. The paper discusses implications for firm performance, marketing theory, empirical research, and marketing practice and argues that embracing stakeholder marketing helps to reclaim territory for marketing in academia and business. 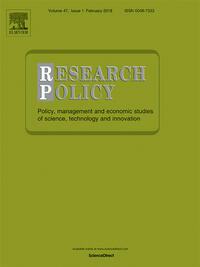 Füller, J., Schroll, R., & von Hippel, E. (2013), User generated brands and their contribution to the diffusion of user innovations, Research Policy, 42(6-7), 1197-1209. It has been argued that users can create innovations and also diffuse them peer-to-peer independent of support or involvement by producers: that “user-only” innovation systems can exist. It is known that users can be incented to innovate via benefits from in-house use. But users’ incentives to invest in diffusion are much less clear: benefits that others might obtain from their innovation can be largely or entirely an externality for user innovators. Of course, effective distribution of information products can be done near-costlessly via posting downloadable content – for example, software – on the Internet. However, potential adopters must still learn about the product and trust its qualities. In producer systems, this aspect of diffusion is heavily supported via the creation of trusted brands. It has been shown that brands help to increase awareness, to communicate a product's benefits, and to reduce perceived risks of adoption. The development of brands by producers is traditionally seen as a very costly exercise – unlikely to be thought of as worthwhile by users who expect little or no benefits from the diffusion of their innovations to others. In this paper, we explore the creation of a strong and trusted brand by the Apache software community – and find it was created costlessly, as a side effect of normal community functioning. We think the costlesscreation of strong brands is an option that is generally available to user innovation communities. It supports, we propose, the existence of robust, user-only innovation systems by helping to solve the problem of low-cost diffusion of trusted user-developed innovations. 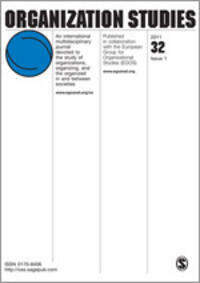 Hemetsberger, Andrea and Christian Reinhardt (2009), "Collective Development in Open-Source Communities: An Activity Theoretical Perspective on Successful Online Collaboration," Organization Studies, Vol. 30, 9, 987-1008. Online collaboration is often organized without strong predetermined rules or central authority, which is why coordination and ways of organizing cooperation become crucial elements of collaboration. This article investigates how online projects can overcome problems of dispersed work, solve inherent contradictions and utilize tensions in the activity system to develop collaborative artefacts and practices. Empirical evidence is based on a detailed observation of a successful open-source project — the K Desktop Environment (KDE). Our findings show that successful collaboration is based on coat-tailing systems. Coat-tailing means to inextricably bind together individual action and collective activity through careful design of complexes of technological, mental and cultural artefacts.